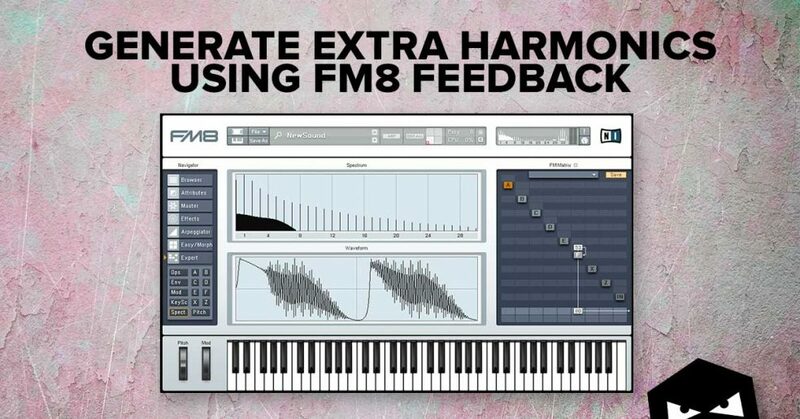 When designing an FM8 preset, try adding some feedback to the operator, within the FM Matrix window. This will make the Operator become it’s own modulator. Resulting in harmonically rich waveforms. Looking for FM8 Techno presets? Explore our exclusive preset bank Fermium. Founded in 2015 with the sole purpose to help electronic music producers succeed. Headquartered in London, United Kingdom with studios based in Hereford (UK) and Vilnius (LT). A team of passionate individuals who love to share their knowledge and expertise in music technology. Delivering content in the form of educational videos and resources for electronic music production. Enter your email below and we'll send you 10 of the loops from the pack. I agree to the terms and conditions and would like to receive Audiotent emails. Enter your email below and we'll send you a slick new GUI Skin for Kick 2. Enter your email below and we'll send you 9 samples from the pack. Enter your email below and we'll send you 7 presets from the pack. Enter your email below and we'll send you 9 clap & snare samples from the pack. Get 12 samples from the pack. Get 7 presets from the pack. Get 10 top loop samples from the pack. Get 10 bass loops from the pack. Get 10 samples from the pack. Get a taster of what's inside the full release. Download 10 samples from the pack. Download 10 snares from the pack. Download 10 Hi-Hats from the pack. Download 10 percussion hits from the pack. Download 10 loops from the pack. Download 12 loops/hits from the pack. Get a the FREE eBook. Enter your email below. Download the FREE samples. Enter your email below. Enter your email below to be notifed when SUBZERO is available to buy. Enter your email to access the FREE samples & presets. Enter your email to access the FREE presets, MIDIs & samples. Be among the first to know when JUPITOR is available.